UFC featherweight champion Conor McGregor was choked into submission by Nate Diaz in a stunning reverse at the MGM Grand in Las Vegas. "I thought I took him in the first round. I'm humble in victory or defeat," he said in the octagon after the fight. "I took a chance to move up a weight and it didn't work. "I thought I landed with some good punches that got him off," a delighted Diaz said. "I started off slow but I'm faster than anyone later on. My jiu-jitsu is always there for me." 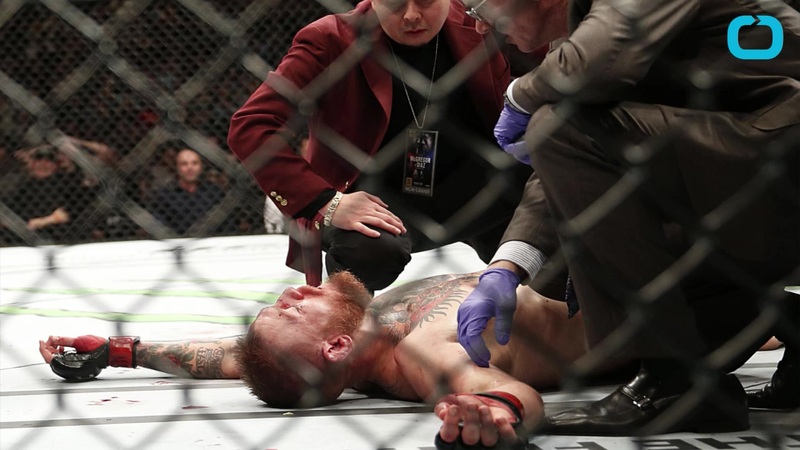 McGregor had landed some heavy left-hand shots of his own in the first round, opening up a cut over Diaz's right eye that streamed blood as he struggled to cope with McGregor's quick feet and hands. The 27-year old Irish fighter, who took just 13 seconds to knock out Jose Aldo and win the featherweight crown, couldn't put the 30-year-old away, and when Diaz landed a punch in the second round McGregor looked stunned. The fight was preceded by Tate's sensational victory over reigning bantamweight champion Holm, who waited patiently throughout the fight for her chance to take her opponent down before choking her out late in the fifth round. "She went out like a champion. I have so much respect for this woman," the 29-year-old Tate told the octagon announcer as she received the belt.